Welcome to my Blog, Here you will find Wallpaper’s as well as my opinions about books, comics, movies and TV shows that influenced me throughout my life. Make yourself at home. Comments are always welcome. I Love Your Walls M8 🙂 Keep It Up!!! Love your wallpapers! Is it okay if I use the Space Invaders one for the credits of a non-profit movie I’m making? Awesome wallpapers bro. Would you think about making some wallpapers for the movie The Warriors? Hey George, I often check in to see what you have done. I’ve been looking for what I believe would be the most awesome wallpaper, but to no avail… no one seems to have my vision. There is a scene in Game of Thrones Season 2 where Daenerys is chained up in the warlock tower. She tilts her head back, closes her eyes, and her 3 dragons breathe fire. I believe that picture would be the best wallpaper of all time. Bar None. Let me know what you think. sounds good can you get a screen grab so i can see it. After all this time I found one after your request for a shot. You may do better than film-book I would think. 🙂 Thank you. I love the wallpapers you have made. Could I get your permission to use an image to have printed on a drum? I am interested in using some of your wallpapers from The Big Bang Theory tv show for my own blog and was wondering if I could have permission for this. Also do i need to attribute the work? Could you also tell me where you get these photographs from because I am unable to find anymore on the web. yep use what you need and a credit would be nice I make all my own wallpapers. Most of the images are scanned by me or sent to me from people and friends that want me to make them a wallpaper, a few are just found searching the net. thanks dude. Just to double check, if i use these picture i won’t be breaking any copyright laws, will i? and i will be sure to give you credit and leave a link to your blog on my website. no there cool, no copyright I made em myself from scans so your all good. I am interested in using the “arcade classic” image as background in my project (http://sourceforge.net/projects/mewui/). Was wondering if I could have permission for this ? With credit to you, ofcourse. Yeh you have it mate. and i will download your UI i use mame a lot both on pc and tab. Absolutely love the wallpapers, excellent work on them. Think I may have spotted a massive omission from the list though – how about one from the 80′s classic Flash Gordon? You can never have enough Brian Blessed in your life! Thanks for those kind words, and as soon as i get the time i was planning to do some wallpapers from the classic Flash Gordon, and your right you can’t get enough Brian Blessed, and Sam Jones. Was wondering if I could have permission for this ? Yeh you have it, please send me a link and thanks for asking. Great job with the wallpapers. I read that you make all of your wallpapers yourself so there will be no copyright issues. Could I get permission for my company to use part of your “Flippin’ Awesome” wallpaper with Moss from the IT Crowd on it for employment ads, which will be printed as flyers and posted on Facebook? We would of course credit you with your name “George Spigot”. 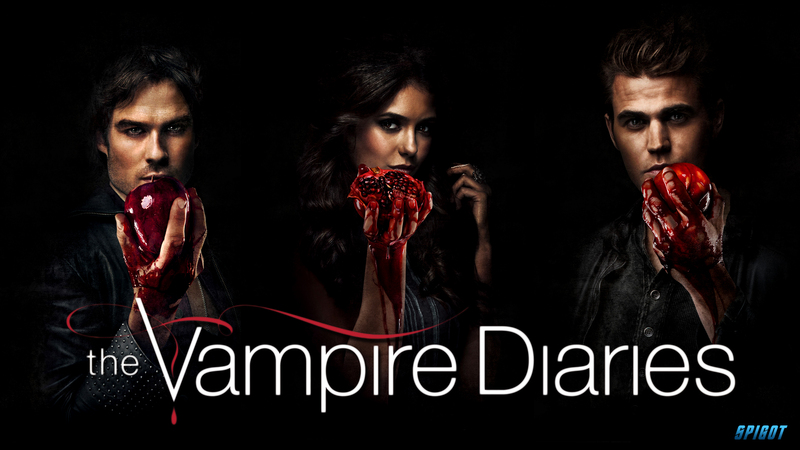 Hi George Spigot, I saw your amazing image of the Vampire Diaries via Google images, (location; http://cdn2.business2community.com/wp-content/uploads/2014/05/the-vampire-diaries-07.jpg) and I would like your permission to use it as the entry image for my upcoming website if that is okay with you. Thank you so much ..btw you have really cool wallpapers. 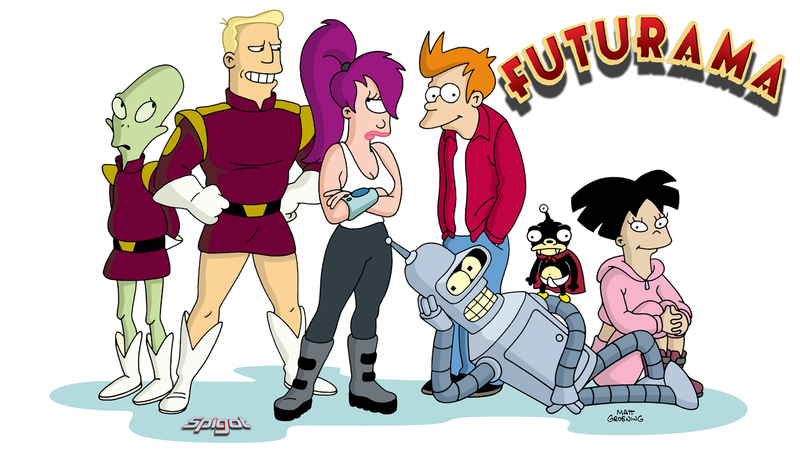 Hi George Spigot, I saw your wallpaper of the Futurama: https://georgespigot.files.wordpress.com/2012/12/futurama-02.jpg and I would ask for permission to print it graphics on my sneakers. If that’s ok? I’d like to use a few of your posters in a movie poster collage banner/front page slide I am making for my new website/podcast about 80’s movies. Particularly the wide last starfighter poster. Is that ok? I would really like to see a wallpaper for The Thing starring Kurt Russell! Your wallpapers are incredible. I’ve been following your posts for a couple of years now, and wanted to let you know how much I enjoy them. Thanks Bill I really appreciate that, I’m just happy people like my wallpapers. Hi, What beautiful wallpapers ! can you create a wallpaper of the Star Wars ep IV movie (with the french logo LA GUERRE DES ETOILES ? it would be so wonderful!!!!! Thanks again for making me “The Thing” wallpaper dude! Hey George I’d like to request another one, this time for the Cronenberg film Scanners from 1981! Hey George, could you try a wallpaper for the Cronenberg film “Scanners” from 1981? Thank you enormously, these wallpapers are simply phenomenal. love your elvira wallpaper…how can i purchase? would like to use the image for an 80s Themed Christmas Party. Hi, Thanks again for the wonderful french star wars wallpapers, They are fantastic!! I would not want to abuse, but would it possible that you accept to create a wallpaper of the movie Phantom of the paradise (B de Palma)? Are you interested in some paid freelance work to design a DVD cover for me? (flash gordon related)? George, can I use one of your John Wick wallpapers in a YouTube thumbnail?